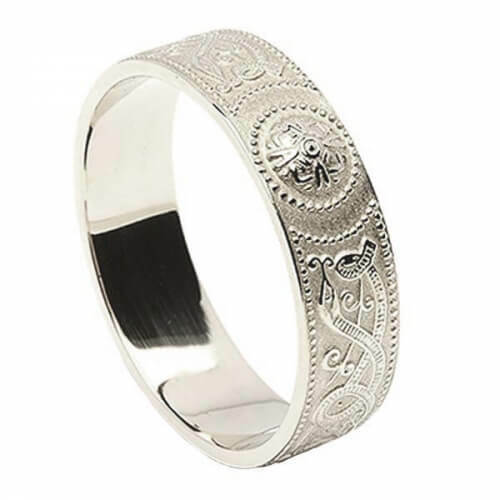 The men's Celtic Shield Ring is crafted from white gold with intricate Celtic designs. A brushed background sets the tone for the highly polished embossed designs. Inspired by the famous Ardagh Chalice, these wedding bands celebrate your heritage. Handcrafted in Ireland and hallmarked by the Dublin Assay Office.